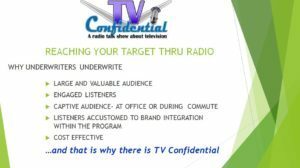 TV Confidential‘s unparalleled content reaches more than 200,000 listeners/week (primary demo: age 45 and up) across the U.S. and Canada through a hybrid platform of terrestrial radio, digital radio, and listening-on-demand podcasts. Drawing on traditional strategies, new technologies (such as Alexa), and our expanding social media platforms, we have increased our audience by more than 40 percent since October 2018… and we are continuing to grow. Advertising on your business or product on TV Confidential is a good investment. We are committed to fostering relationships with our sponsors by drawing on our brand to help further their brands. We’ll work with you to create and produce a message that maximizes your on-air exposure and engagement with our audience. We believe you’ll find this opportunity affordable and mutually beneficial. Email us at sales@tvconfidential.net for more information. We look forward to working with you. Smart speaker use is on a consumer growth rate that’s even faster than smart phones. More than 100 million consumers will own one of these devices by May 2019; these consumers are well educated, affluent, passionate and influence behavior. 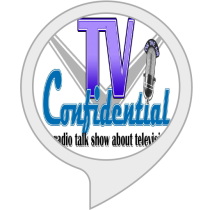 TV Confidential now has its own Custom Alexa Skill. Each edition of our program heard on Alexa begins with a custom pre-roll. 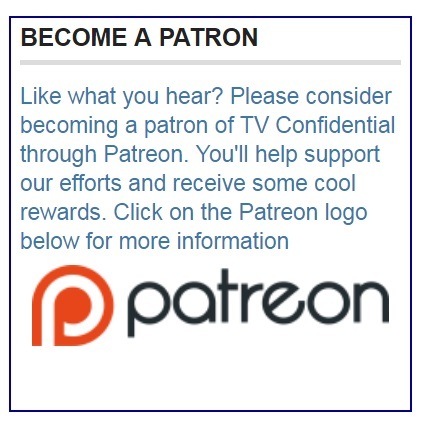 Sponsor the pre-roll on the TV Confidential skill and your message will reach this growing consumer base, in addition to our weekly radio audience. Email us at sales@tvconfidential.net for more information. 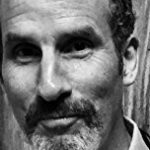 GOT A PODCAST OF YOUR OWN?